Residents coming to Pine Valley for Short Term Rehabilitation are admitted to our brand new Rehabilitation Wing. With phones and high-speed internet access at each bed, flat screens with Cable TV, and restaurant-style dining, a stay at Pine Valley combines the best of care with the comforts of home. Physical Therapy – to help condition muscles and restore strength and movement. Fast-Track Homeward Bound – a custom 7 day per week therapy program designed by a team of experts to insure each patient reaches their highest potential in the shortest possible time. 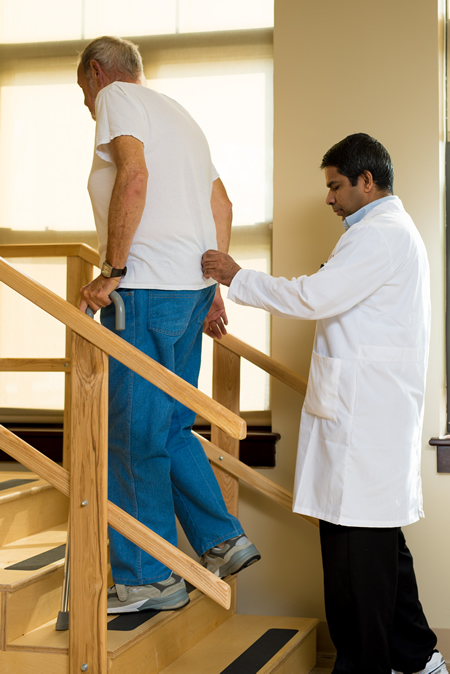 Occupational Therapy – to restore the skill needed to increase independence. Speech Therapy – to improve communication ability and to address swallowing issues. Our team of experienced therapists join together to create individualized Care Plans to ensure that every resident reaches his/her highest potential in the shortest possible time. Our beautiful, state of the art facility provides residents with the most modern therapy equipment available.